When it comes to great property maintenance, it is essential that you don’t forget about your drains. We don’t tend to think about these essential systems until they start to cause us problems. Any kind of drainage issue can be extremely irritating to deal with. In the worst cases, they can even lead to long-term property damage. 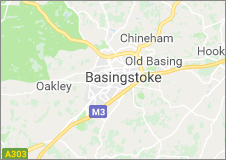 Dealing with blocked drains in Basingstoke is absolutely essential if you want to keep your property a safe and comfortable space to live or work. Here at Drainage Care, our professional team can deliver a comprehensive range of drainage services for all kinds of properties across the South West. Whether your business is flooding due to a blocked drain or your home is full of unpleasant smells, our team of experienced drainage specialists are here for you. Blocked Drains in Basingstoke – What Causes Them? These materials can all too easily become trapped in the drains and lead to difficult to move blockages. As the blockage will often occur close to the toilet, it can result in a range of issues including slow toilet-draining, unpleasant smells and human waste becoming trapped in the pipe. FOGs and Food Waste – Food waste, especially fats, oils and greases (FOGs) are a major concern for your drain’s health. These substances can easily adhere to the inside of your pipes and begin to build up. They can completely close of your drain or simply reduce the operational width at a certain point, increasing pressure on the rest of the system. They can even contribute to the corrosion of the pipes wherever they adhere to them.Fats, oils and greases can be difficult to shift without the right equipment, so you need to get in touch with a professional team for these issues. 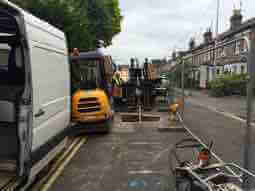 FOG blocked drains in Basingstoke need to be effectively cleaned and the pipe treated to prevent the issue from developing again. Here at Drainage Care, we can help you to identify the location of these blockages and ensure they are being eliminated in the best way. Thanks to our industry-leading CCTV drain surveys, we can work with you to identify any drainage problems, including blockages and damage to the pipes. Following CCTV drain surveys, we will be able to recommend the best way to proceed after seeing the blockage up close. Why are Blocked Drains in Basingstoke Such a Problem? Any kind of drainage issue can lead to a variety of issues across your property. Relatively minor ones can include slow-draining or gurgling drains and sinkholes. However, in the worst cases, blockages can increase the pressure on your system. This can cause pipes to burst across your property, which will result in property damage, damp, mould and even potential flooding. If you want a professional team to work with you to eliminate any blocked drains at your property, get in touch with Drainage Care UK today. We can help you to keep your drains clear through our comprehensive service. We can use our industry-leading technology to find your blockage with CCTV drain surveys and advise you on the best way to proceed. We can also offer a range of different drain unblocking services, including high-pressure water-jetting.